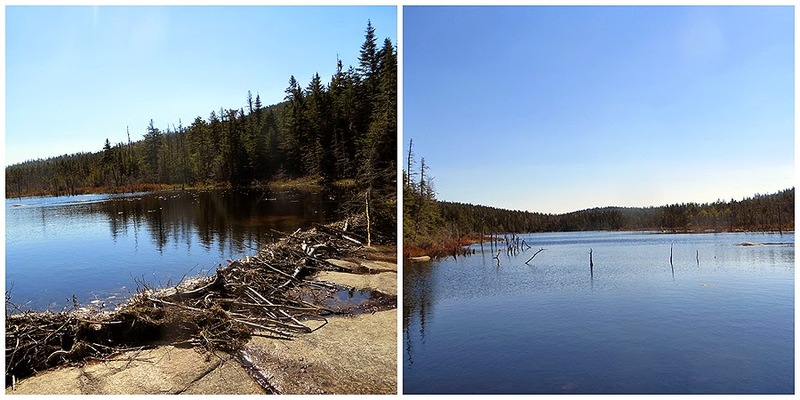 - Early in the Spring when there was still plenty of snow left in the mountains I hiked up the Nancy Pond Trail to the Norcross Pond outlet. 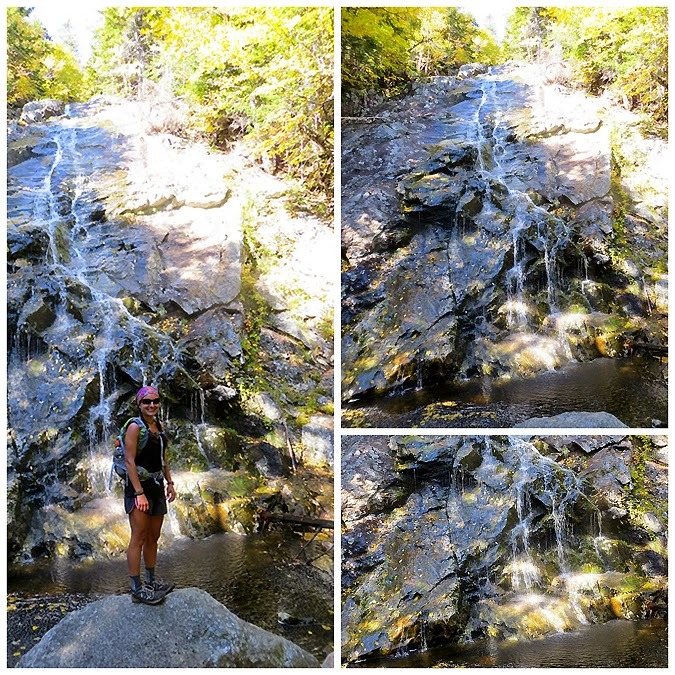 It was a beautiful hike with great views and since that hike I had been looking forward to head back so I could continue along the trail as it drops down to the middle of nowhere in the historic Pemigewasset Wilderness. 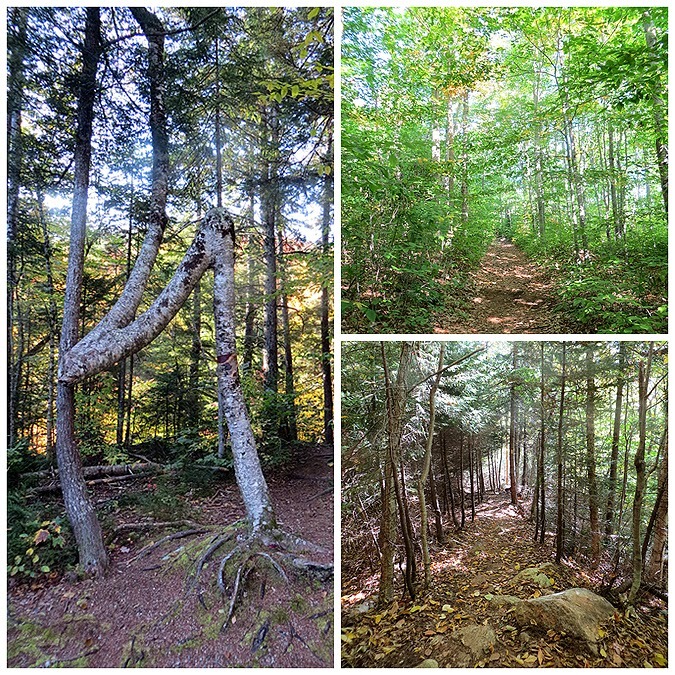 So when my friend Whitney suggested that we hike the trail with a side 'whack' up to Mount Nancy followed by a hike over Mount Carrigain I was happy to oblige. 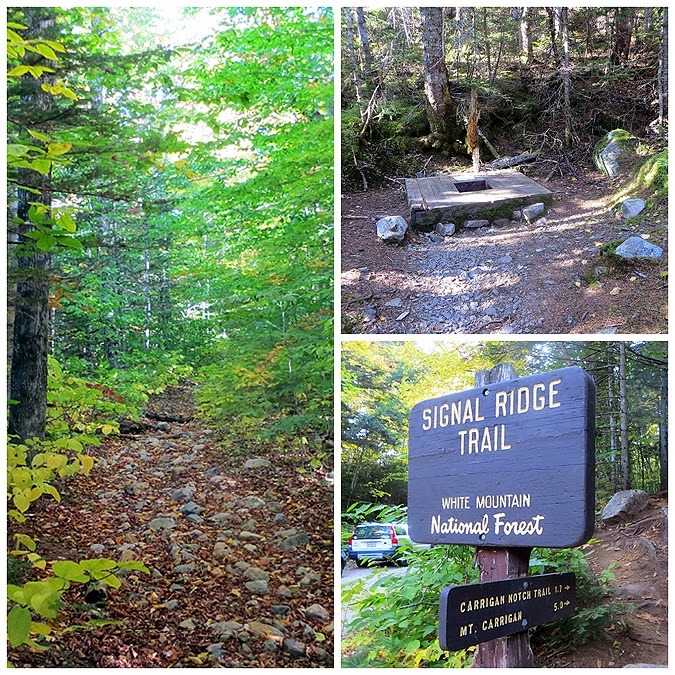 - We spotted a car at the Signal Ridge trailhead and drove over to the Nancy Pond trailhead and started just after 9 a.m. It may have been the last weekend in September but the weather was unseasonably warm making for a mid-summer hike feel, minus the humidity. It would end up being an absolutely perfect weather day from beginning to end. - The Nancy Pond Trail travels along an old logging road for the first couple of miles, there has been a major re-route away from the brook which is kind of a bummer. I think the old section went past remains of the old Lucy Mill. The re-route just heads up the embankment and then drops down close to where the cascade is. - The Nancy Cascade was quite the site, even with the very low water flow from lack of rain over the past week. We walked right up to the gem pool at the bottom and took pictures before ascending steeply up the switchbacks that run to the left of the cascade. - Once over the top of the cascade the trail levels out and becomes mostly flat as it travels through the woods. There was some beautiful foliage in spots, one of which was a small bog bridge section with 'squishy' moss lining the trail (see image below). 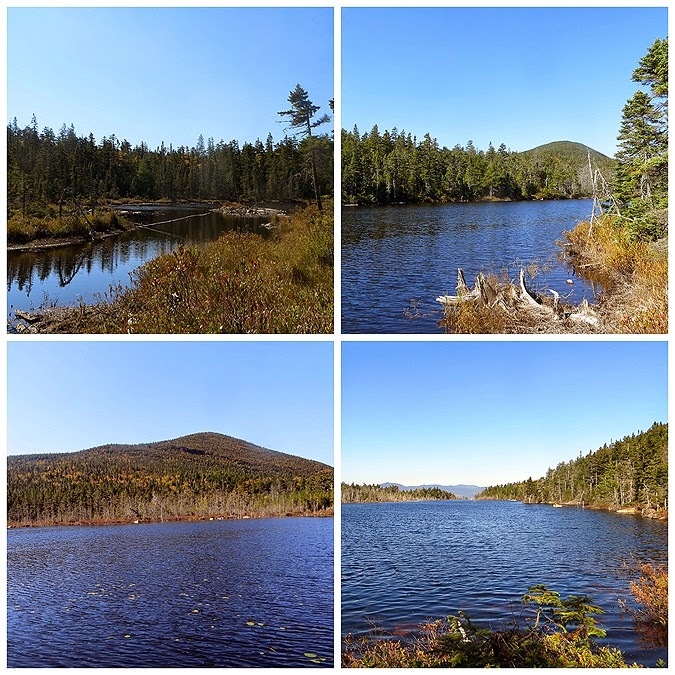 - After passing through a mini pine grove we traveled along Nancy Pond, reached the Pemi Wilderness boundary, and finally over to Norcross Pond. 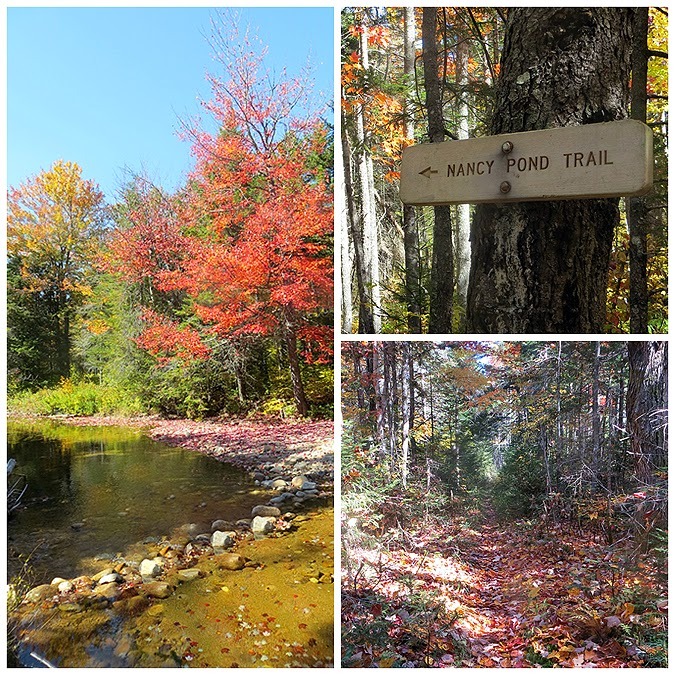 Nancy Pond is nice but the view from the Norcross Pond Outlet will knock your socks off, especially during fall foliage! - We took a nice long snack break taking in the views from the outlet. The view down looks into the Pemi Wilderness where Stillwater Junction is, while the view across is over to the Bonds. - From here we banged a right into the woods up the old Mount Nancy Trail. I don't know when it was abandoned but it is still easy to follow and not too overgrown. It was probably abandoned to keep the number of hikers to a minimum because it is excessively steep and would be prone to erosion with use. Whitney and I both remarked that it had the steepness of the Twinway but without the rocks. 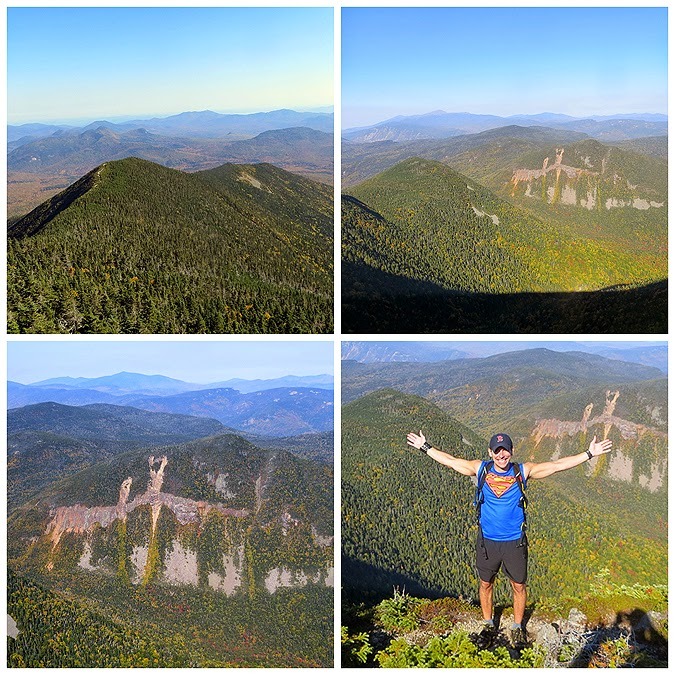 - Mount Nancy's summit has a nice ledge outlook with a great view north to the Presidential Range. The summit even has a sign which is a rarity in the Whites. - The hike down went pretty quickly. As we descended we passed Bob Watkins and his two dogs, Andy and Jack as they headed up. Bob was doing the same hike as us and was meeting up with his group on Carrigain. We'd see Bob several more times over the next few hours. 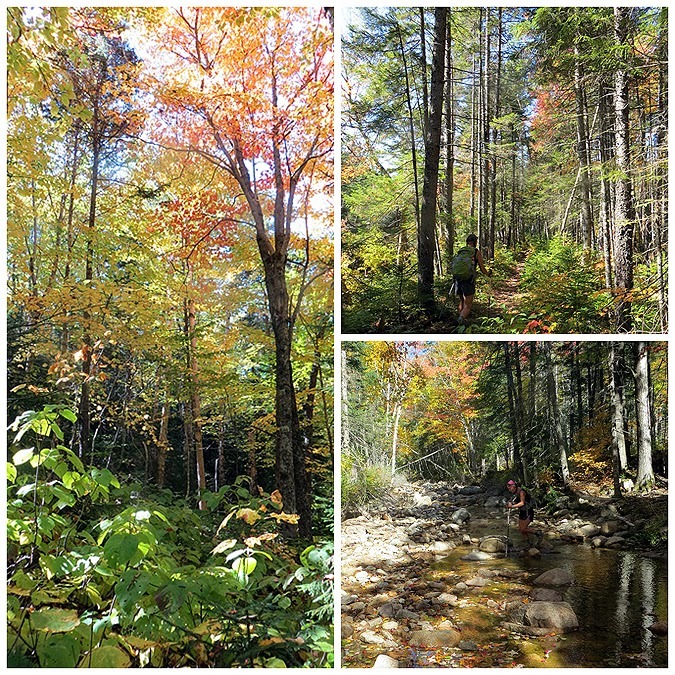 - Once we hit the Norcross Pond outlet again it was time to drop down deep into the Pemi Wilderness. I didn't know what to expect from this next section of trail but was completely blown away. It travels along a nice cushiony and gradual logging road, past an old railroad camp, and levels out over a century old railroad grade. 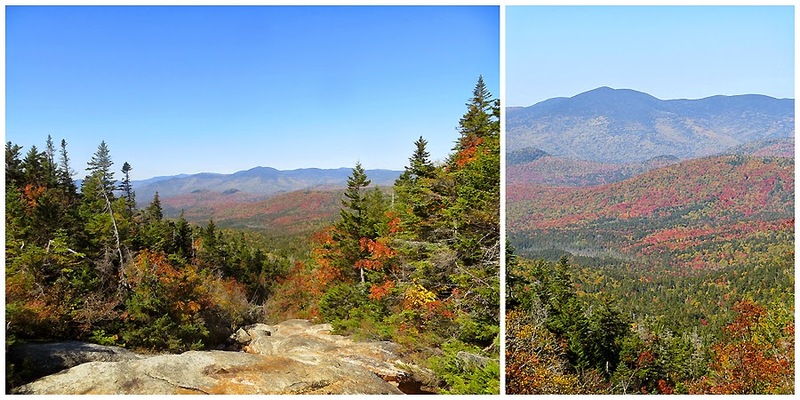 The leaves from the Birch and Ash trees were different colors adding to the totally awesome stretch of hiking. 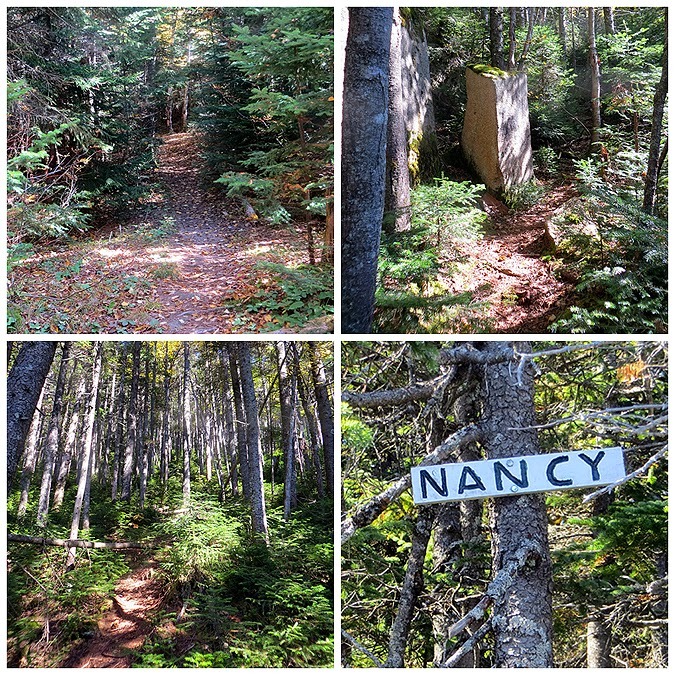 If you haven't been on this section of the Nancy Pond Trail or the Carrigain Notch and Wilderness Trail through Carrigain Notch over to Shoal and Throuea Falls trails head there now when the foliage is peaking. Phenomenal hiking! - As we descended, Bob, Jack, and Andy caught up and passed us. Whitney and I checked out the old logging camp. I didn't find old RR junk, but didn't go looking too hard since the camp had thorn bushes everywhere. - From here we enjoyed the secluded and mostly flat trails with some water crossings mixed in below a beautiful 'canopy' feel of the forest. 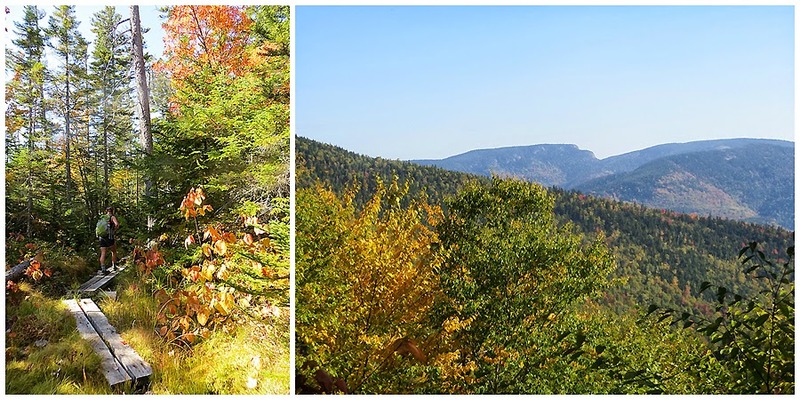 Whitney, who just finished her Appalachian Trail Thru-hike could not have had any better timing as she practically stepped off the A.T. and into full on foliage season! For me, it was great to be back doing hiking adventures with Whitney in the Whites! 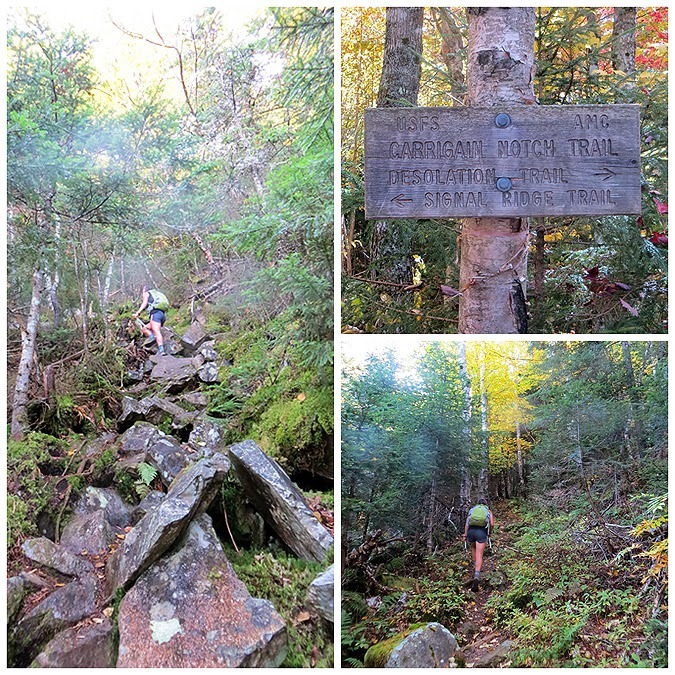 - After hooking a right onto the Carrigain Notch Trail we made the quick less than a mile trip to the start of the Desolation Trail. We took a nice break before starting the steep ascent up to the 4,700 foot summit of Mount Carrigain. Whitney set a blazing pace up the Desolation Trail, it was very impressive, I was sweating bullets, and loved every second of it! - The summit tower of Mount Carrigain has some of the best views in the Whites. It was around 3 p.m. so the summit wasn't too crowded. We ate some cookies and took a bunch of pictures from the tower and also talked to Bob again as he patiently waited for his group , which he passed, to make their way to the summit. By the time we were set to descend, there were around four or five dogs on the summit, all wagging their tails. It must have been dog day on Carrigain! - The descent back to the trailhead went quickly, we made sure to not take the new re-route, which adds on a few tenths of a mile and has a PUD mixed in. The old trail is in ok shape, a little eroded in a spot or two, basically it's in normal White Mountain trail shape. - After the hike we headed up to twin Mountain and stuffed out faces at the Northern Embers restaurant. If you want huge portions, go to the Northern Embers, the Prime Rib is especially good. 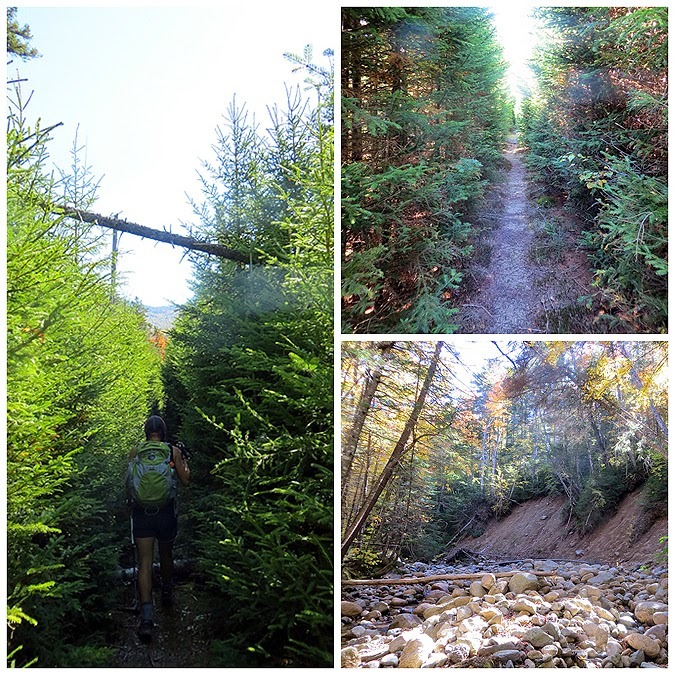 - It was a great first 2014 fall hike, and a great way to end the day! Trail to Nancy Mountain. There's a small slide to the left of the trail near the bottom. The dog belongs to Bob, this was Jack! Gorgeous, gorgeous hike - looks like you had great weather, views and company. We did the loop over Carrigain with the Desolation Trail the previous weekend, and I posted a picture of my husband on the exact same stretch of Desolation Trail, on the same rock as Whitney - I immediately knew where you were when you took the photo. Very funny to see! "From here we banged a right into the woods up the old Mount Nancy Trail. I don't know when it was abandoned but it is still easy to follow and not too overgrown. It was probably abandoned to keep the number of hikers to a minimum because it is excessively steep and would be prone to erosion with use." That trail is not abandoned nor was it ever official, it was illegally cut by a local resident who also illegally cut/blazed the trail to Mt. Hope, and also to Duck Pond Mountain. She was a retired attorney in her 70s, and the USFS backed down from prosecuting her as they din't want to look like jerks for throwing an old lady in jail. She has since died. Thanks, Ken. I had been told and read that it was a trail but didn't know it was unofficial and the story behind it. I wonder who maintains the 'unofficial' abandoned trail now? Probably a small group of one or two remove blowdowns when needed and brush it back. Don't know who but it's very easy to follow, that is for sure. 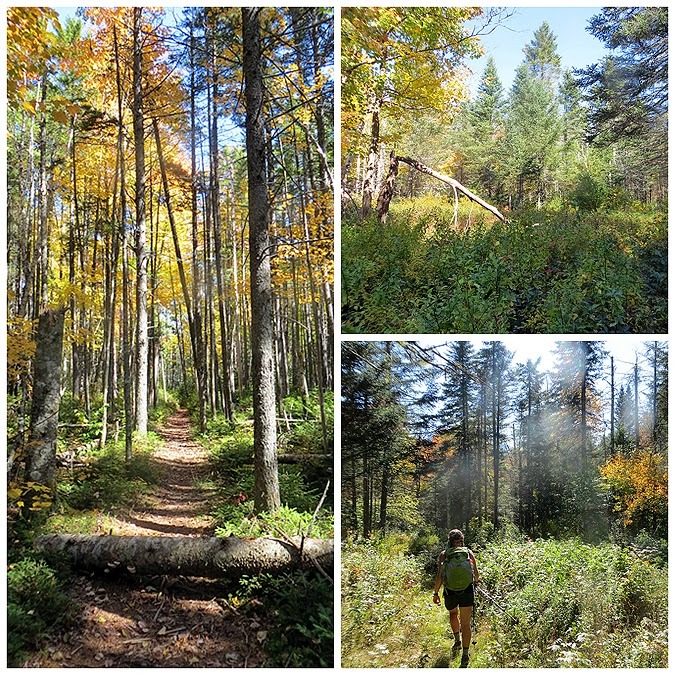 Reminds me of how the herd paths were cut in the ADK's, not legally but ended up becoming maintained unofficial trails. 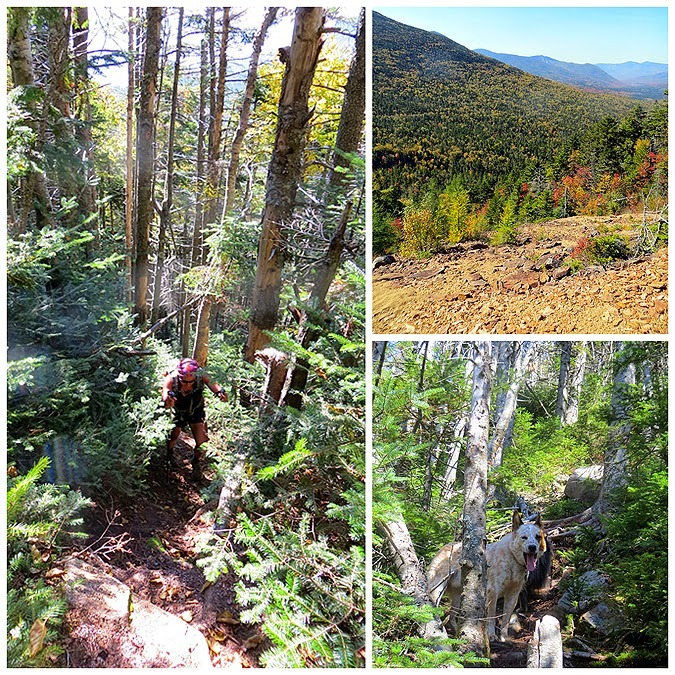 There's some trails in the GG and Pemi Wilderness that aren't as in good a shape of this unofficial trail! I just got a message on FB earlier from a friend who did it years ago..."That was easy to follow when I did it 30 years ago, now it might as well be a maintained trail!"